This article by Glebe’s historian Max Solling first appeared in the Glebe Society Bulletin in 1991/92 and was reprinted in April/May 1999. 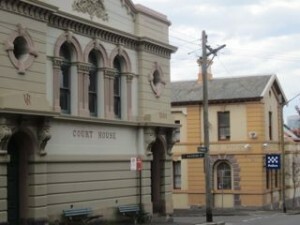 In 1858, on his exploratory walks around Glebe, W S Jevons (who subsequently became a famous British economist) noted that the frontage to Parramatta Street was “…occupied by shops and public houses doing a large trade since they are the first and last which the traffic along Parramatta Street meets with.” Parramatta Street became known as Broadway in about 1890. Trade entries in directories between 1845 and 1876, when Glebe acquired a definite shape on the map, give some idea of where local people did their shopping, but it is not clear what kind of establishment these places were. Entries for bakers, confectioners, drapers and fancy bazaars do not necessarily mean the existence of conventional shops, but if mere numbers are any indication, they appear to have served the needs of their localities tolerably well. It is not until 1879 that Sands Directories provide a comprehensive coverage of suburban streets and retail use, permitting accurate reconstruction of the local landscape. The fancy bazaars, the market stall holders, the hawker and itinerant dealer were being replaced by the retail shop by the late 1870s. All that was needed to set up shop was enterprise, and a little capital, and many used this route to join the ranks of the petty bourgeoisie. Here they could achieve some degree of economic independence. There were many signs of a more general sophistication creeping into the economic and social apparatus of the suburb in the 1880s. The Town Hall was a symbol of civic pride, wealth and independence, an impression reinforced by three handsome additions to Glebe’s physical fabric near the corner of St Johns Road and Glebe Road – a Court House, Police Station and Post Office. There was a branch of the Australian Joint Stock Bank and, from 1883, Glebe could boast its own newspaper – The Glebe, Ultimo and Forest Lodge Advocate and The Darlington Observer, based in Derwent Street. Those bent on self-improvement could join a variety of institutions each peddling their own recipes for success – mutual improvement, debating and choral societies, a free library, volunteer corps, friendly societies and masonic lodges. The rise of the new generation of Glebe shopkeepers can be traced through Sands Directories from the 1880s. Most shops were to be found in groups on the main roads or on connecting side streets. The fuel and produce merchant, grocer, butcher and baker could count on the continuous patronage of a relatively small but fairly heavily concentrated clientele. Others like the musical instrument repairer, costumier and photographer, depended on the occasional custom of a large number of people and were found only on the main thoroughfare, Glebe Road. A good mix of retailers stretched along both sides of Glebe Road in 1880 from Broadway to St Johns Road and then down the eastern side of Glebe Road to Bridge Road – drapers and ironmongers, chemists, grocers, newsagents and seedsmen, saddlers and harness-makers, bakers, fancy goods shop, tobacconists, confectioners, butchers, boot and shoe makers and the laundry. 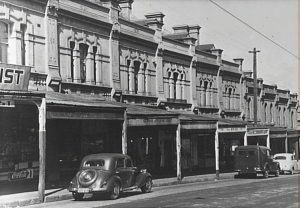 By 1889 a small group of shops – jeweller, fruiterer, hairdresser, grocer and milliner and dressmaker, appeared on the eastern side of Glebe Road between Bridge Road and Marlborough Street, but it was not until 1895 that a cluster of shops appeared between the Diphtheria Hospital (at 243 Glebe Road) and Ferry Road – a bootmaker, confectioner, butcher and grocer. 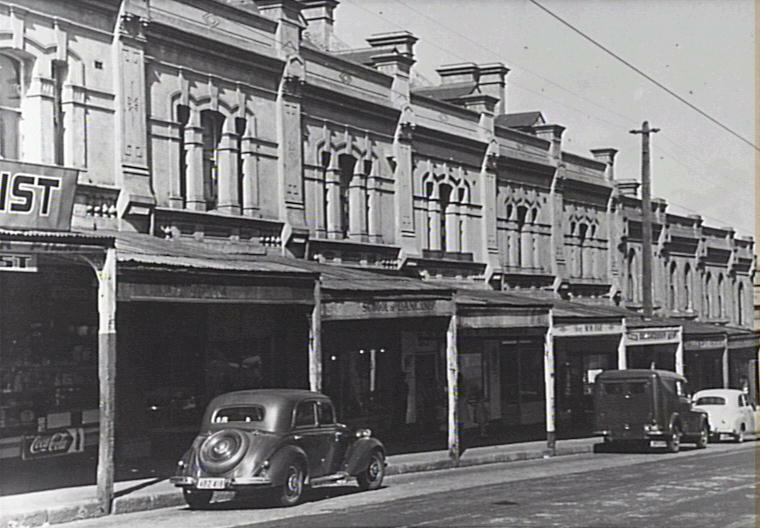 The group of shops in Glebe Road on either side of Forsyth Street did not appear until about 1928. Forest Lodge had sufficient inhabitants to justify its incorporation as a separate ward within the municipality of Glebe in 1871 and, here too, by 1880, a pattern of shopping areas could be discerned. 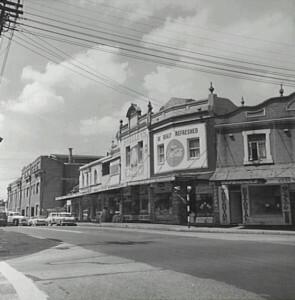 A cluster of shops meeting the needs of customers appeared on the southern side of St Johns Road between Lodge and Ross Streets in 1880 – fruiterer, produce and fuel store, grocer and two butchers, and in Ross Street between Arundel Street and St Johns Road there was a grocer’s shop, draper and butcher. Just around the corner in Ross Street, near the tram terminus, there were shops on either side of the road by 1891 – a provision shop, tobacconist, painter, bootmaker, grocer, ham shop and confectioner. At the end of the nineteenth century not more than one third of Sydney’s breadwinners regularly used public transport. 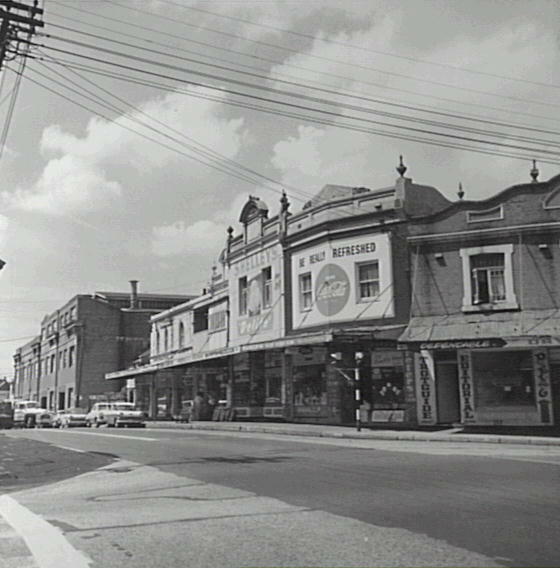 Glebe was a predominantly pedestrian community (even though its horse population was 931 in 1891) and housewives, children and old people especially were closely tied to their neighbourhoods. The business fraternity and professional men exerted social leadership through Council, the churches and the local voluntary associations. Along Glebe Road and St Johns Road could be found the main institutions of suburban life – banks, shops, pubs, churches, post office, town hall, court, library and school of arts and schools, all of which could be reached on foot within a relatively short time. Glebe had resisted intrusion of industry. 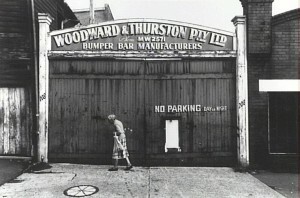 Only thirteen industrial concerns, employing 362 people in 1891, were located on the perimeter of the suburb – Hackshall’s biscuits, Lackersteen’s jam and the Upton Marvel Soap Works in Parramatta Road near Ross Street, the NSW Magic Soap Works, Sydney Lead Works and Abrams’ broom factory in Wentworth Park Road, and just around the corner in Bridge Road, Brady’s revolving shutter factory, Kauri timber mills, coach builders, and blacksmith Luke Muras. Within a Stone’s throw of Franklyn Place was Dunn’s tannery, Conlon’s Broughton Street pottery, Wearne’s locomotive works and the four-storey Sydney Tram and Omnibus Company’s coachworks. 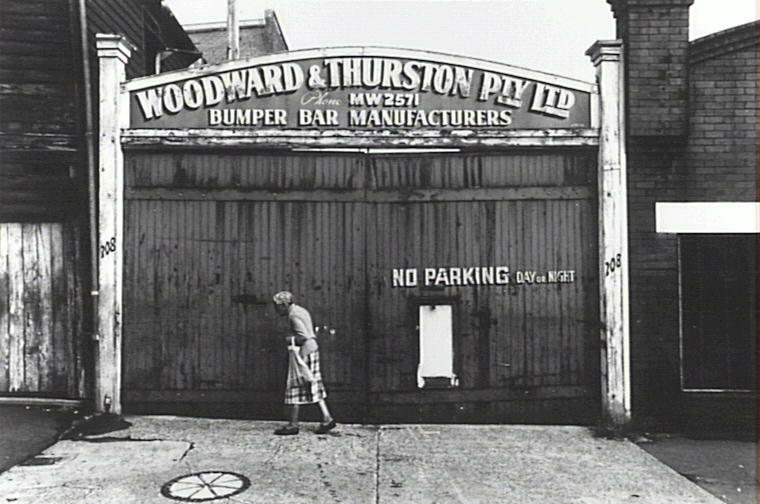 From the Edwardian era new commercial and industrial users increasingly invaded the older residential neighbourhoods of Glebe. In 1944, when figures for the number of factories and people in municipal areas were again published – after a lapse of more than 50 years – Glebe had 156 factories employing 4278 people. At the 1911 census few building plots remained in Glebe; its 21,943 residents lived in 4,202 houses. The denizens of Glebe developed strong sentiments of belonging to their territory, and extended family relationships laid the basis for community solidarity. Community feeling was reinforced and promoted by local churches and schools, pubs, and a random collection of social, sporting and charitable organisations. While the sense of community remained strong within particular closely knit neighbourhoods, there were great inequalities in housing, in income and in political power within the suburb. The people who lived at Glebe Point inhabited a different world to those who lived at the suburb’s other extremity; and their paths rarely crossed.